A swimming pool that I am building is nearing completion. Here we are polishing the plaster finish. In a few hours the pool will be filled with water. This project is located in Westchester NY. 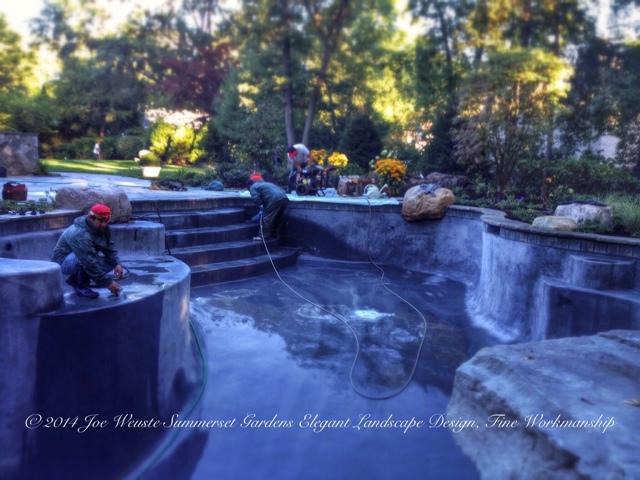 Swimming pool, landscape design and construction services in the NJ and NY areas..